Research from the University of Oxford, recently reported in the Journal of Experimental Social Psychology demonstrates that “the belief in science,” increases with stress. In trials where subjects were known to be stressed in the experimental group compared to the control, they found that the stressed group are more likely to agree with seemingly innocuous statements such as “the scientific method is the only reliable path to knowledge.” This points to the general observation that it is “belief” that acts as the stress reducer. An equal number of people may be using “the belief in religion” in a similar vein. This makes sense from an evolutionary perspective. Early days of homo-sapiens were not pretty – animals and cannibals were hunting them down and stress was the primary attribute of living. One had to believe to survive, for without it, everything looked bleak. Burdened with a powerful organ, an evolutionary quirk, humans could look forward and see a worse tomorrow. The uncertainty was constant and they were completely ill-equipped to survive in the environment they were afforded. The elements reduced them to less than a few thousand – before inexplicable luck launched them higher from near extinction. Stress has been with humans ever since. And survival, thus, selection depends much on how to reduce stress. Belief has become a critical defense mechanism in this battle. They started believing in inanimate objects that resembled something. As society developed, they moved onto legends and stories – that will someday morph into organized religion. Then, science arrived – with similar but potentially superior constructs that could explain what is observed. It slowly ate into the market share of the dominant provider of belief – religion. Science, however, could never appeal to the masses as belief is not about explaining the present - it is more about obscuring the future. The inability of science to give meaning to ignorance will likely hold it back for ever. Believe to reduce stress – it does not matter what one believes in. > Science [...] is not about explaining the present - it is more about obscuring the future. The inability of science to give meaning to ignorance will likely hold it back for ever. Intriguing statements. Could you please elaborate? The contextual argument does flow, but I find that philosophy and science does reduce stress in providing me choices such as an argument is not relevant, meaningful, example of the slippery slope or other debating point and therefore not necessary to consider or scientific paths to be considered which reduces my stress by indicating a solution is possible. 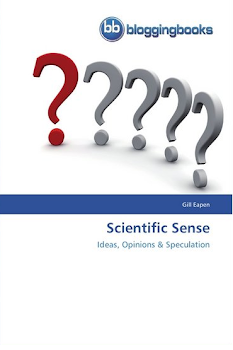 Volumes could be written on justifying the statements "makes sense from an evolutionary perspective" and "belief is not about explaining the present - it is more about obscuring the future" and " inability of science to give meaning to ignorance...", but let me simplify. Science and religion do provide explanations for the present and while science is limited to this temporal realm and is thus unable to provide some fundamental answers expected by people, religion insists there is another that explains all, will provide and comfort all believers while punishing or denying the unbelievers those answer, comforts and the rest. In a nutshell religion and science explain in different ways the present and future, but only religion offers an explanation for an ultimate why while providing comfort in that you, your friends, your group will together experience these answers in another realm. That is the reason religion is popular. I trust in science, as far as it goes. I find belief is both necessary and sufficient for a religious view, but I lack just such a belief. Which belief, of any of the possibilities, can be maintained and what principle or justification can any belief rely on that would be so self evident that is self proving. If it were self proving, why would I need to believe it. It would become a fact. Lets not go in epistemology here. THAT would take forever!